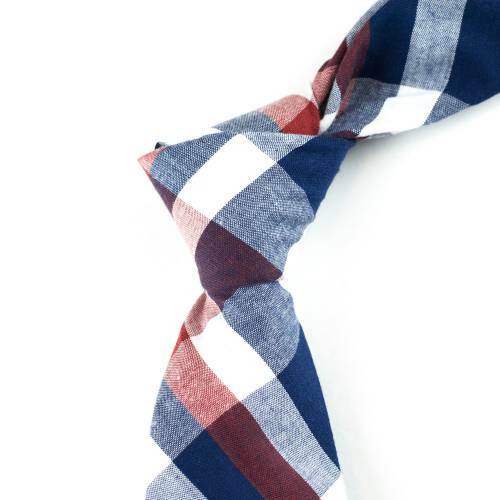 This on-trend plaid tie is made of soft woven cotton and is 6cm (2.4") in width, for that perfect knot and a quality feel. 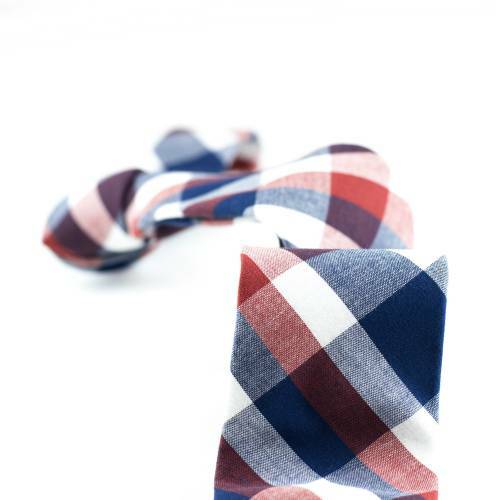 Itâ€™s richly colored combination of a plaid pattern in blue, red and white is a great design for many types of outfits and a rock-inspired finishing touch to your party and leisure looks. Blue / Red / White. 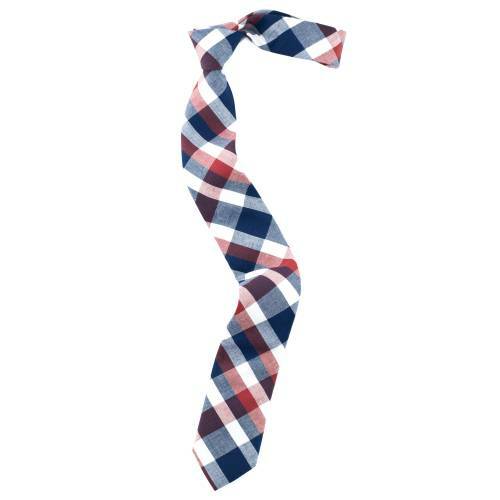 This is a plaid tie of luxuriously textured cotton finish, created by us at Ulterior Motive to bolster your confidence while expressing your unique personality. 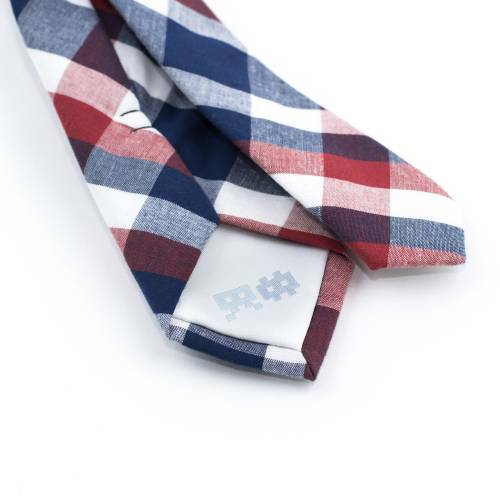 Its eye-catching plaid pattern in blue, red and white reveals an interesting artistic side that admirers will see like the beautiful colors of the sea reflecting a star lit night sky. 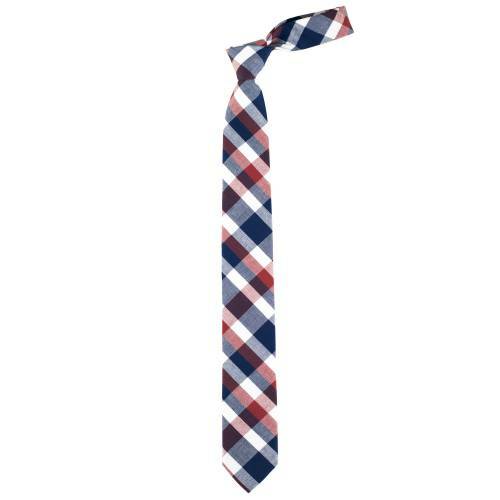 The tie says "business", the plaid pattern says "trendy" and the colors say "rock".